Fans of Dungeons & Dragons can now venture into the worlds of Magic: The Gathering. The new expansion, Plane Shift: Innistrad, uses the fifth edition rules of the iconic tabletop RPG. It is a free supplement to the game, and a follow-up to this year’s Plane Shift: Zendikar. 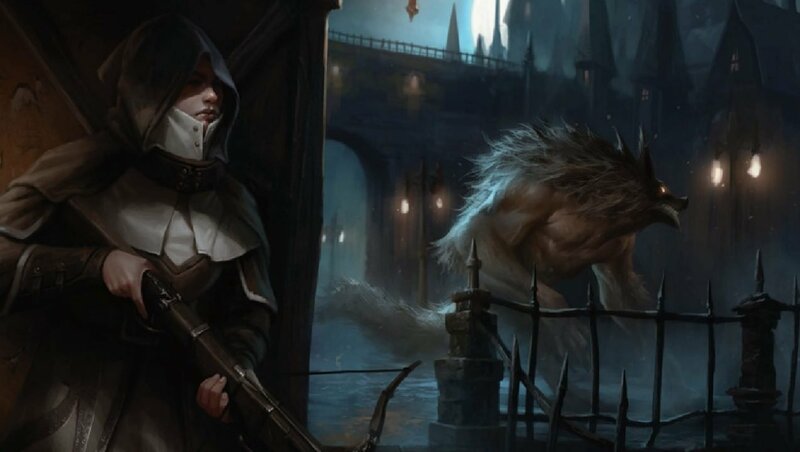 The horror-themed expansion contains vampires, werewolves, and zombies as the major threats — not mention devils and demons. Players will have fight off these otherworldly forces invading Innistrad, whose defenses have been all but eradicated. “Madness swept over Innistrad as the fleeting hope of Avacyn’s angelic protection turned to horror,” says a press release. Sounds pretty spooky. Players will be able to experience this terrifying bit of Magic lore without learning a new tabletop game. The expansion operates within the parameters of D&D’s most current rules. D&D uses a flexible rules system designed to model any kind of fantasy world. The D&D magic system doesn’t involve five colors of mana or ramping up to your most powerful spells, but the goal isn’t to mirror the experience of playing Magic in your roleplaying game. The point is to experience the worlds of Magic in a new way, through the lens of the D&D rules. Basically, this translates to tabletop fans being able to experience the worlds of Magic without playing the card game, and vice versa. As somebody who has never been able to get into it, but loves the lore and worlds, this is a great olive branch. Those interested in the doomed world of Innistrad can also pick up The Art of Magic: The Gathering – Inistrad. This expansion is a companion to that earlier work. Any tabletop fans plan on picking this up? Or maybe Magic players convinced to finally take the plunge on a different sort of tabletop game?